Cotswolds 2014 Odyssey Barley Single Malt hails from the Cotswolds distillery in England which has been distilling whisky for less than 4 years as of writing this. It’s a young distillery and this is among its first releases. This is all necessary framing for the review because it’s a review of an obviously young whisky and so should be seen as a work-in-progress. Which hopefully means that each year the whisky will get better and better as it matures and becomes a more developed and rich spirit. I already love where their head is at with bottling it at 46%, non-chill filtered and with no added coloring. That combined with what seems to be a promising spirit I think they have a great shot at putting out some stellar stuff in the years to come. “We use traditional production processes and equipment to produce our Cotswolds Single Malt. Locally-grown malted barley is milled and then mashed in our 0.5-tonne mash tun, mixing the milled grain with hot water to produce worts. Yeasts are then added. We run the fermentation for more than 90 hours in order to generate plenty of fruity flavour compounds alongside the alcohol produced. 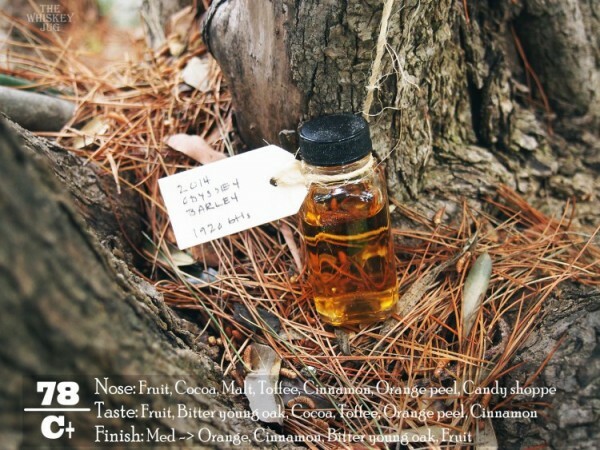 Fruit, cocoa, malt, toffee, cinnamon, orange peels and some olde fashioned candy shoppe and bitter young oak. Fruit, bitter young oak, cocoa, toffee, orange peels, cinnamon, vanilla and a touch herbal. Med -> Orange, cinnamon, oak and fruit. Ok balance, medium body and a warm feel. A decent whisky for being such a young malt. The spirity young nature is definitely front and center in this whiskey and while it’s not overly interesting yet it shows a lot of promise for future releases. I imagine that if given a dozen more trips around the sun this would end up being a solid whisky that could compete with the big guys. Already the aroma reminds me of a nice fruity highland whisky and the palate has a nice bit of chocolate covered fruit. I hope they continue to work and put out interesting whisky and get the opportunity to put out a 12+ year-old. I’m already looking forward to that day. 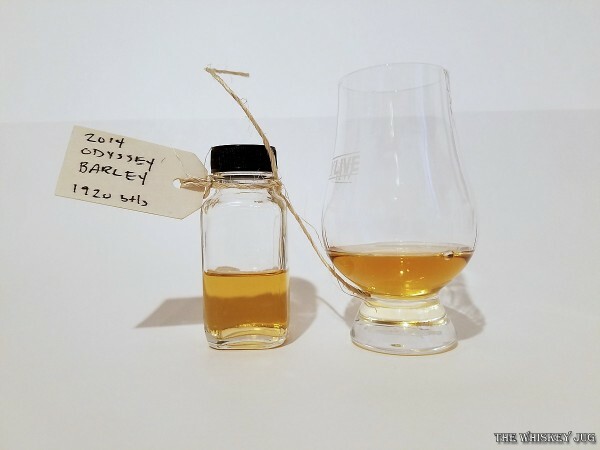 *Disclosure: This Cotswolds 2014 Odyssey Barley Single Malt sample was graciously sent to me by the company for the purposes of this review. The views, opinions, and tasting notes are 100% my own. Summary = Cotswolds 2014 Odyssey Barley Single Malt is youthful but shows promise. Could be stellar stuff in 5-10 more years. 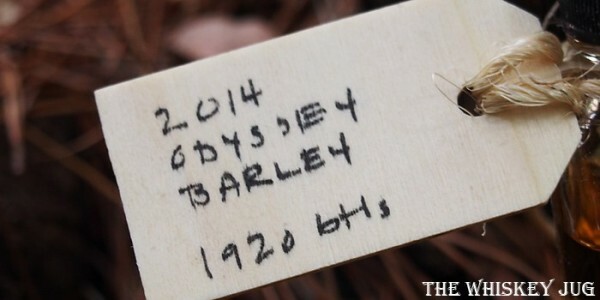 The post Cotswolds 2014 Odyssey Barley Single Malt Review appeared first on The Whiskey Jug.